GRAND PRAIRIE, Texas, and INDIANAPOLIS, March 15, 2017 – Outpatient emergency medical centers, which offer high quality healthcare services and accessible, convenient neighborhood locations, are becoming more prevalent across the country, including Texas, where residents are benefiting from this health delivery method. Joint venture partners Baylor Scott & White Health, the largest not-for-profit healthcare system in Texas; and Emerus, the nation’s first, largest and most experienced operator of micro-hospitals; along with Duke Realty, an Indianapolis-based commercial real estate developer, have begun developing their seventh emergency medical center in Texas. They recently broke ground on a 27,149-square-foot facility in Grand Prairie, about 20 miles east of downtown Fort Worth. The hospital will be located on a 2.385-acre site just off State Highway 360 in Grand Prairie. The two-story hospital, which will house a full-service emergency department, physician offices, an outpatient clinic and other medical services, is expected to be completed in summer 2017. Baylor Scott & White and Emerus officials have worked with Duke Realty to develop and open six other emergency medical centers between 2014 and 2015 in the Texas cities of Keller, Murphy, Rockwall, Burleson, Colleyville and Mansfield. The architect for the new community hospital is Philo-Wilke Partnership, which is headquartered in Texas, and the general contractor is Dallas-based Medco Construction. Baylor Scott & White Health is the largest not-for-profit health care system in the state of Texas. Serving a population larger than the state of Georgia, Baylor Scott & White Health has the vision and resources to provide its patients continued quality care while creating a model system for a dramatically changing health care environment. The system now includes 48 hospitals, more than 900 access points, 6,000 active physicians and 40,000 employees, plus the Scott & White Health Plan, Baylor Scott & White Research Institute and Baylor Scott & White Quality Alliance – a network of clinical providers and facilities focused on improving quality, managing the health of patient populations and reducing the overall cost of care. For more information, please visit BSWHealth.org. Emerus is the nation’s first, largest and most experienced operator of micro-hospitals. Emerus partners with leading health systems to provide excellence, empathy and innovation in health care delivery through a network of efficient, value-based micro-hospitals. The Emerus network brings high-quality, patient-centric acute episodic and ambulatory clinical services to communities across the country. This helps patients by positioning best-in-class provider services in the communities where they work, live and play. Emerus’ distinctive level of care earned the Press Ganey Guardian of Excellence Award for Superior Patient Experience in 2013, 2014, 2015 and 2016. More information is available at Emerus.com. Duke Realty is a national commercial real estate company specializing in the ownership, management and development of medical office properties, complemented by a large portfolio of industrial assets. Duke Realty (NYSE:DRE) owns, maintains an interest in or has under development 139 million square feet of space in more than 21 top-tier markets nationwide. The healthcare segment of Duke Realty’s portfolio totals more than 6.7 million square feet, and includes properties ranging from medical office buildings to rehabilitation facilities and from ambulatory care centers with diagnostics, oncology and surgery services to one of the nation’s largest cancer centers. Duke Realty also has on-staff a team of healthcare professionals who are well-versed in the unique demands of medical providers and have proven experience in providing hospitals and physician groups comprehensive planning, development, ownership and facility management services. 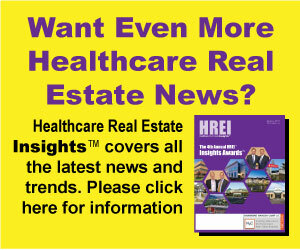 More information about Duke Realty’s healthcare real estate capabilities is available at DukeRealty.com/Healthcare. Duke Realty also can be followed on Twitter, LinkedIn, Facebook and YouTube. If you would rather not receive future communications from Duke Realty Corporation, let us know by clicking here.